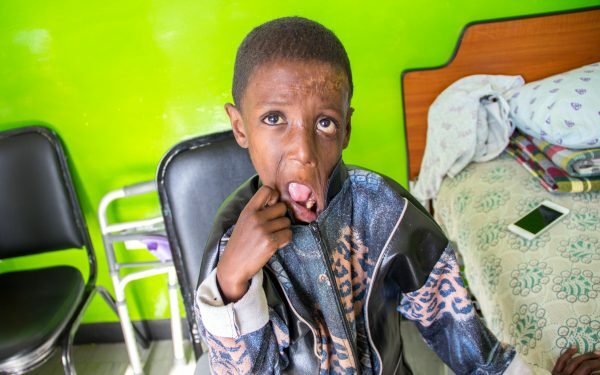 The picture above is of CURE in Ethiopia. 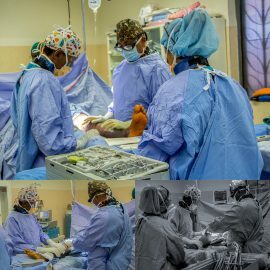 Everyone who serves with CURE in Ethiopia, from medical professionals to office staff, are dedicated to providing the highest quality medical and spiritual care to people who, without CURE, couldn't find it and couldn't afford it, just like Desta. To do that, we're inviting you to partner with us. 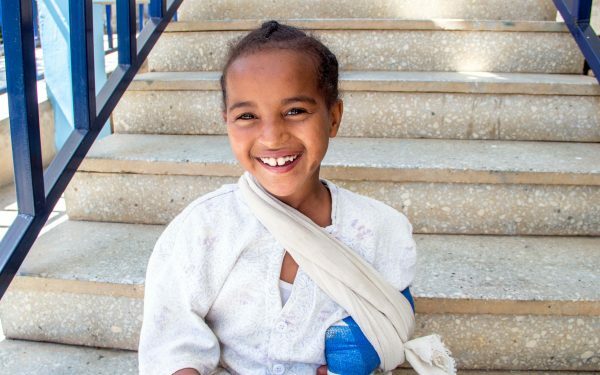 We need to raise approximately $1000 to treat children like Desta. 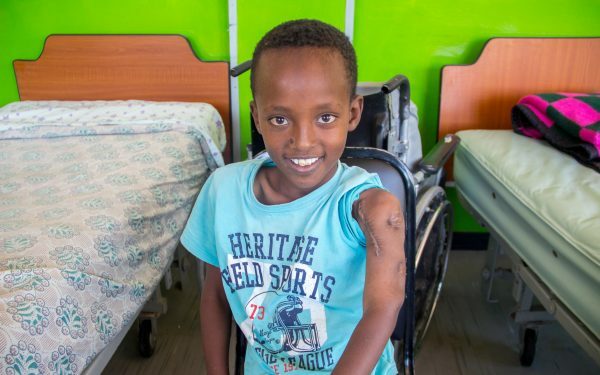 When you give a gift through Desta's CUREkids profile, your contribution will help us continue our work in countries like Ethiopia. Have more questions? Ask us. When you partner with us monthly, we'll send you an email each month to introduce you to a different child who was helped because of your generosity. You can choose to follow their updates and send them get well messages. That means that each year, you're a part of helping 12 different children, beginning with Desta. We call it being a CURE Hero! 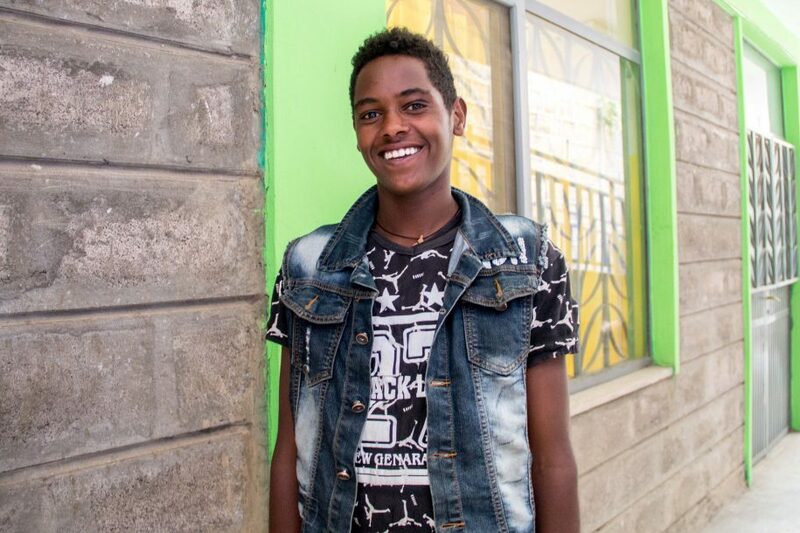 “I want to be a driver once I finish school,” proclaims Desta. 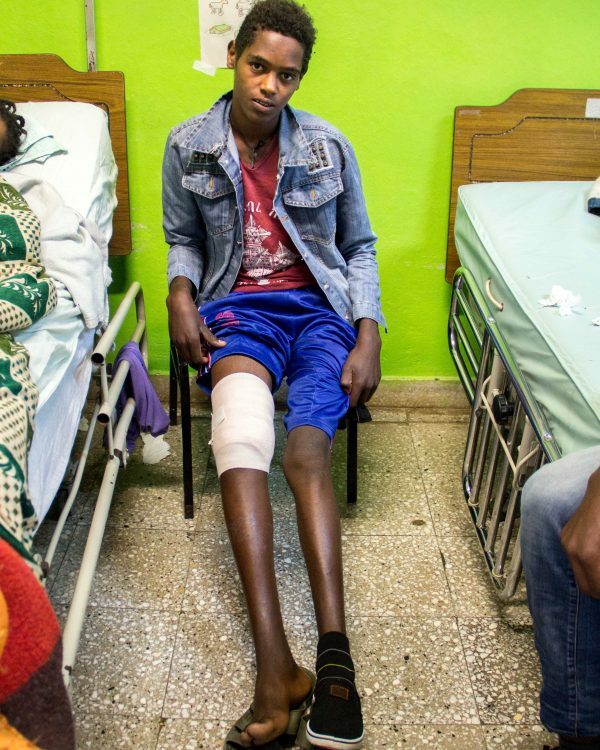 Desta and his brother Habtamu came to CURE Ethiopia seeking help for Desta’s leg problem. They noticed his knock knee six years back but this is their first hospital visit. 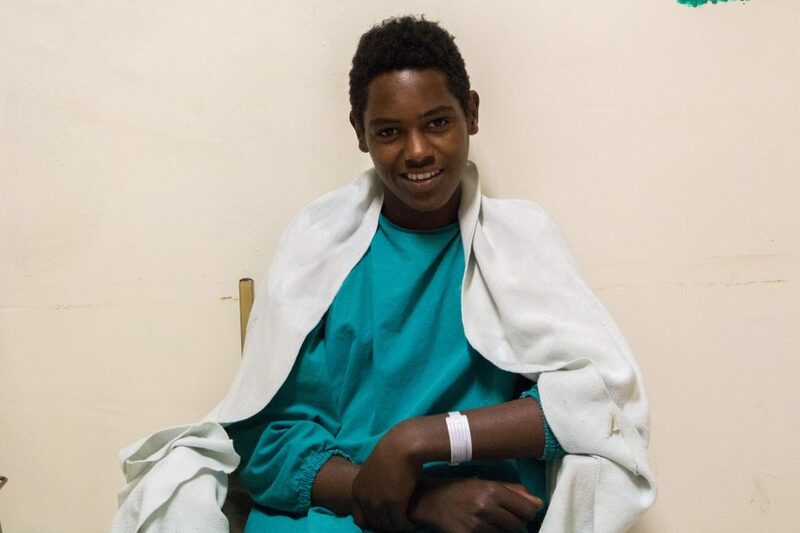 “He plays with us, he can walk like us, but we fear for the future thinking - what if it got worse and he couldn't walk anymore?” says Habtamu, “We started asking around and came across people who had treatment and were healed at CURE Ethiopia hospital, so we brought him here ”. 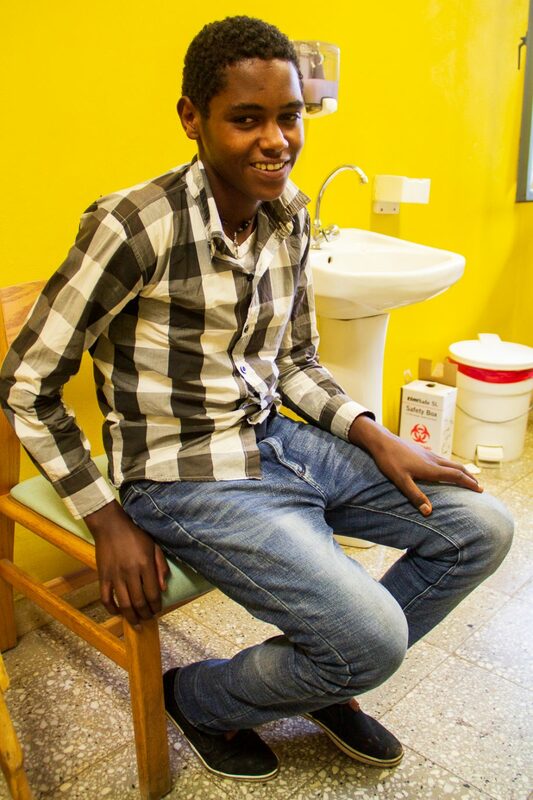 Desta is staying in the capital with his aunt until he finishes his treatment at CURE Ethiopia. He is in the eighth grade and his favorite thing is playing soccer with his brothers and friends. His parents are farmers and he has two brothers and one sister. 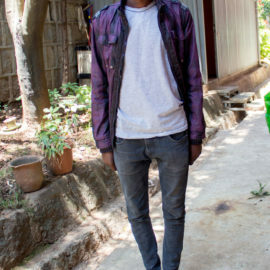 “A lot of kids make fun of him at school and that always makes me very sad," Desta told us. Join us welcoming this young man while he starts his healing journey and let's get him back on the soccer field together! 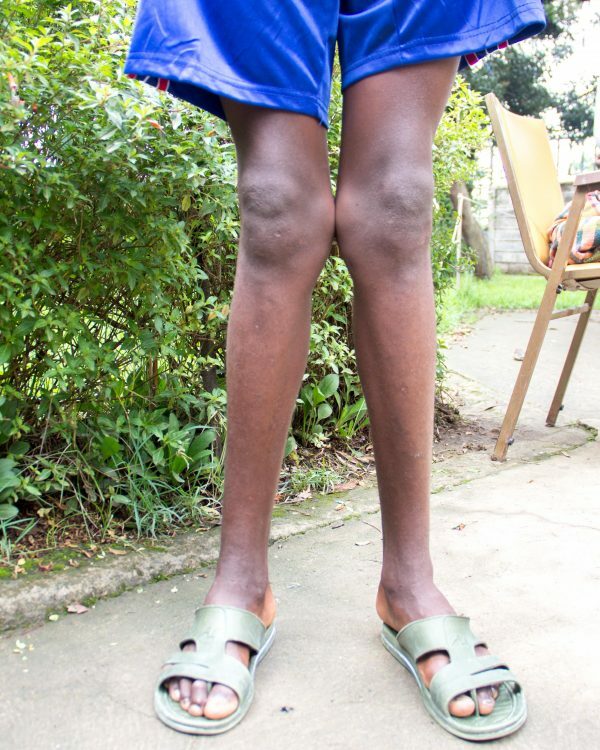 "All my friends say my leg looks good and straight and that makes me very happy to hear!" Desta told us at his check-up. 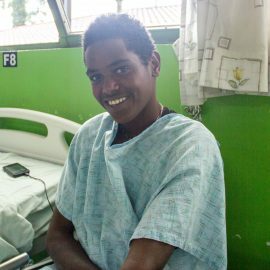 He is doing well and walking without any problem, Dr. Mesfin showed him a couple of exercises to help him mobilize his knees. He will continue his exercises from home and we will see him again in a year for another check-up! Desta is going home today! He will continue his recovery from familiar comforts and surroundings and we will see him at the beginning of December to see his progress! 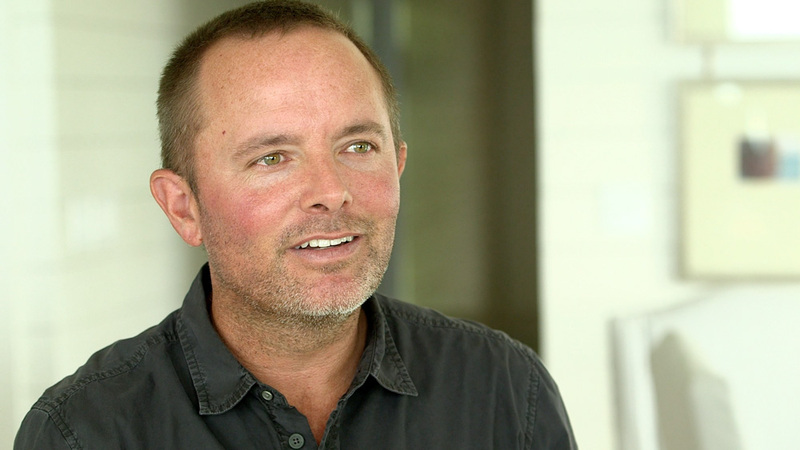 Please keep him in your prayers for a safe return back to CURE Ethiopia! 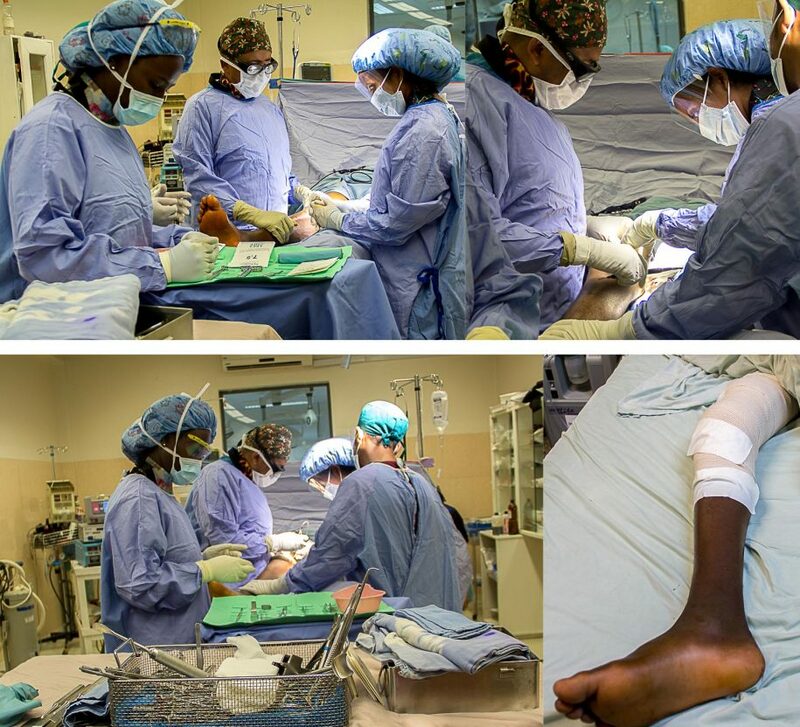 Dr. Mesfin did a wonderful job straightening Desta's leg, here are a few of pictures from his operation! 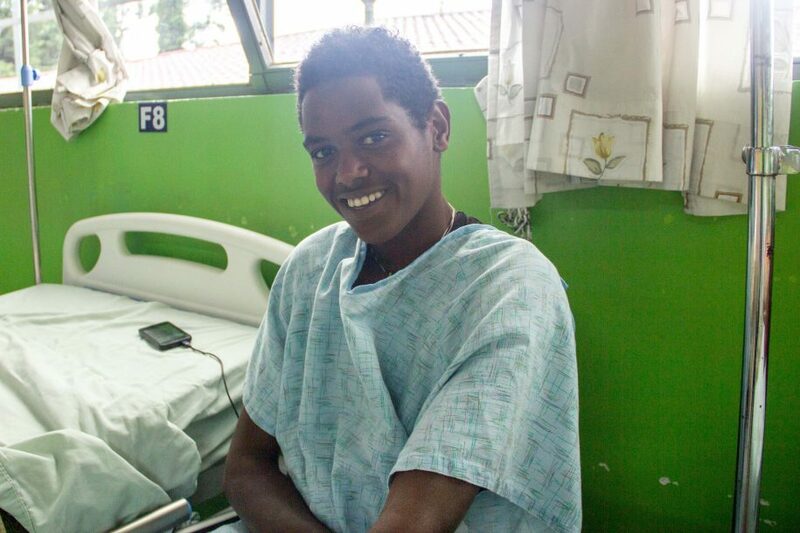 Desta had a restful weekend and he is doing very well in his recovery process! 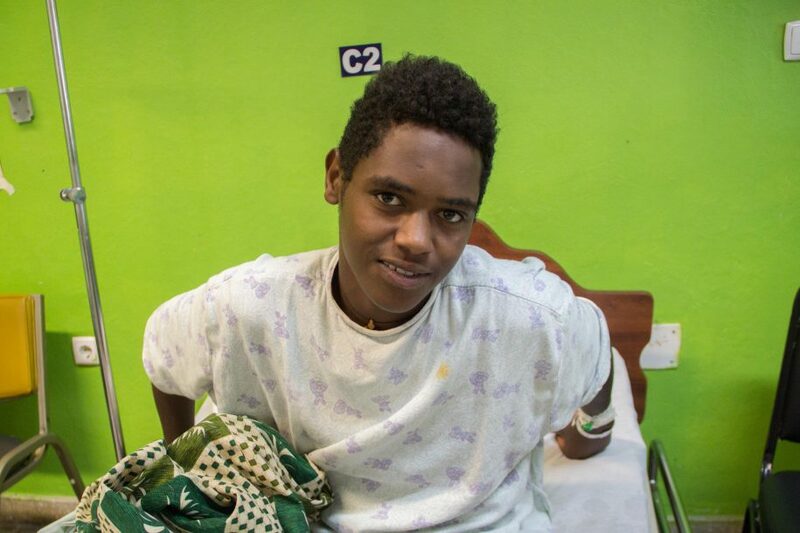 We found Desta in the operation room waiting area today, we're pleased to share that his operation went well and he is resting now in the ward. Please keep him in your prayers for a speedy recovery and a good weekend of healing! 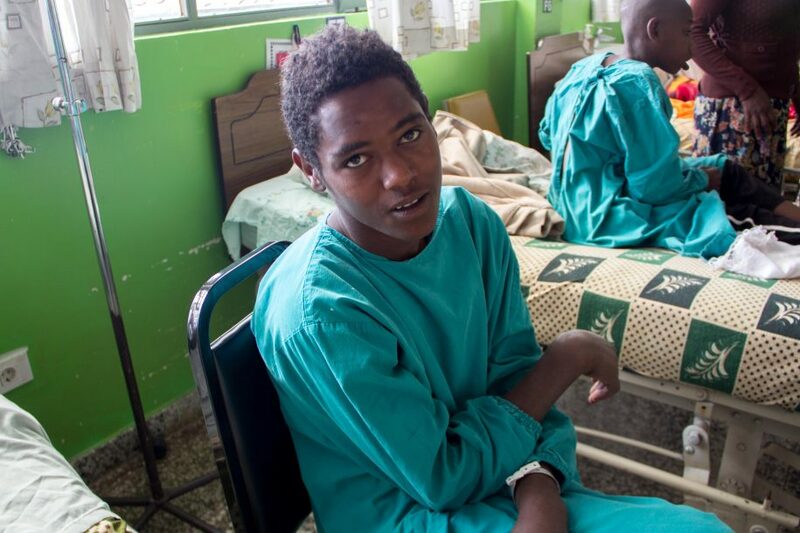 The operation rooms were busy today and Desta's surgery was postponed because of it. 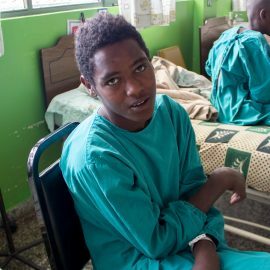 He will have his operation tomorrow which gives him more time to walk around the ward and make new friends! 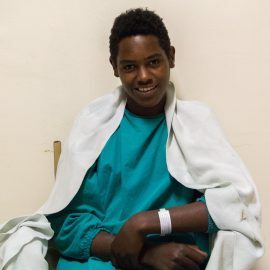 Desta is here with us at CURE Ethiopia getting ready for his operation! 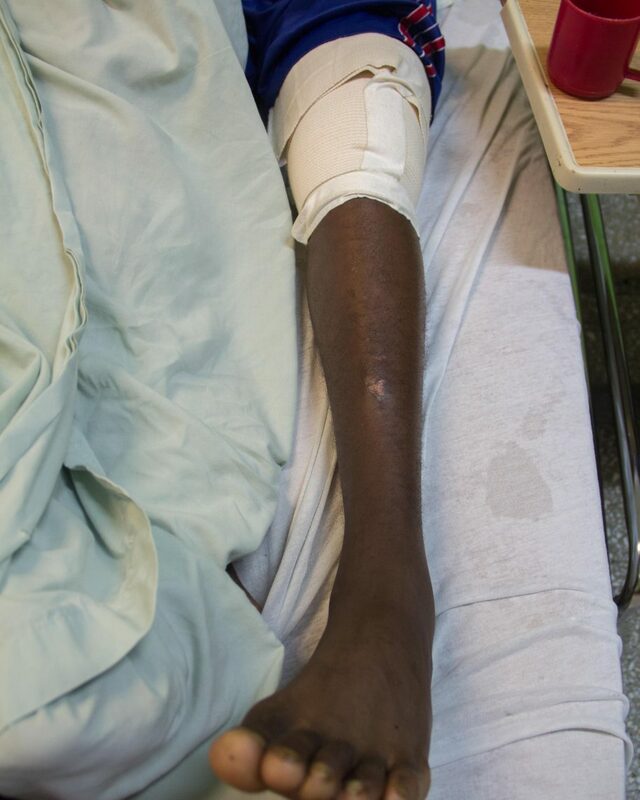 He is done with his right leg and he is having his second surgery on his left leg tomorrow! Please keep him in your prayers! 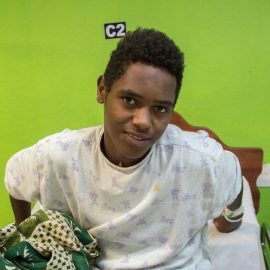 Desta is doing great! 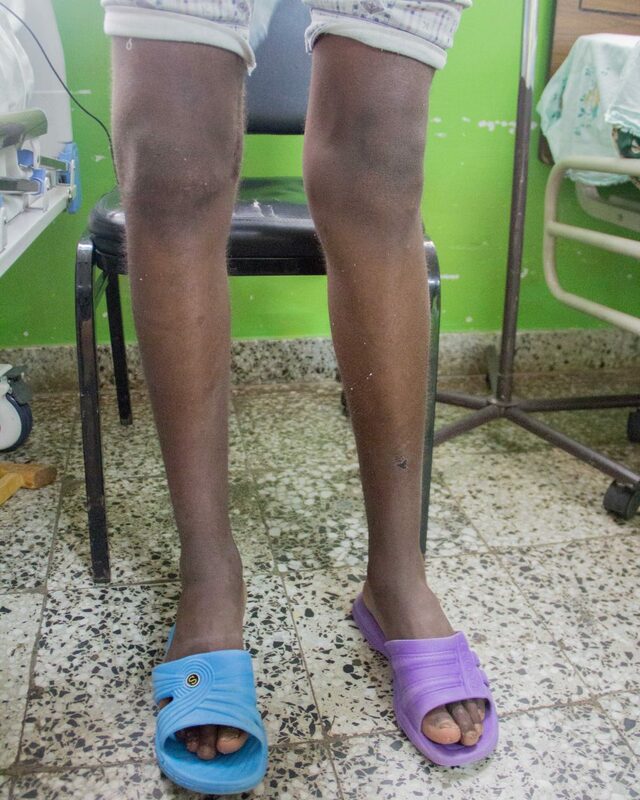 His right leg is healed and he will have his second operation on his other leg in October. We will see him in then for an admission! 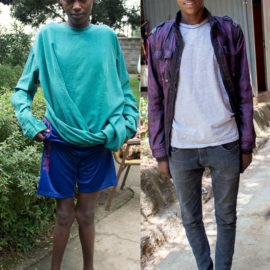 Desta's surgery went really well and he is happy he has a straight leg now! He is heading home today and he will continue his recovery from there. We will see him in mid August when he returns for his checkup! Please keep him in your prayers! While waiting to be called to the operating room, Desta was learning how to knit from Ahmed, one of our patient's father. 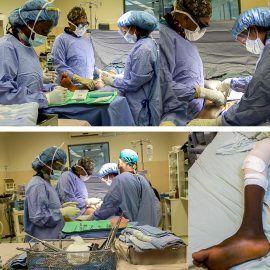 Today he is having a right DFO (Distal Femoral Osteotomy) and the operation will help straighten out his leg. Please keep him in your prayers! There are currently 147 different people who are a part of Desta's support community. What about you? This is Desta's 2nd procedure. 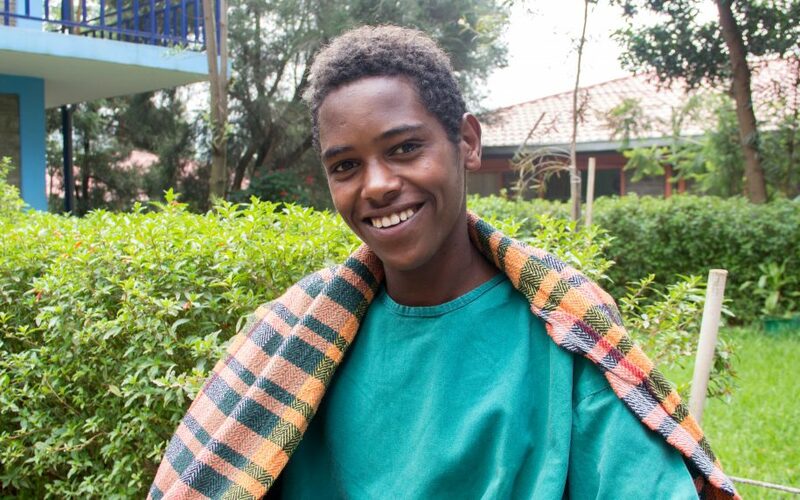 Desta has had 2 procedures at CURE Ethiopia. Below are the before and after photos for each procedure. We're sending your message for Desta to CURE Ethiopia. 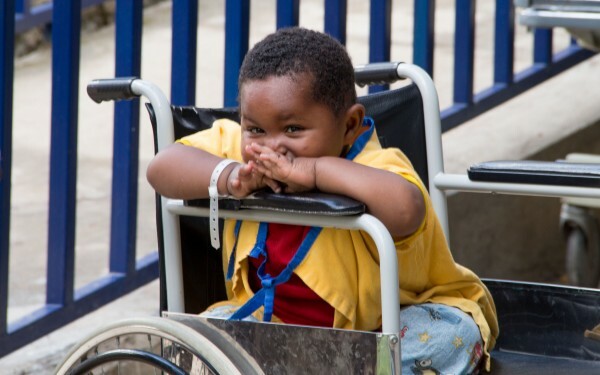 Every month, be a Hero to a child at a CURE Hospital, beginning with Desta. Real-time updates will let you see the impact of your giving monthly! Your generosity will provide major underwriting for a surgery at CURE Ethiopia while you receive real-time updates on Desta.